Welcome to the web page for organ study in the School of Music at the University of Tennessee, Knoxville. The information below will give you a small taste of what it's like to be a UT organ student. 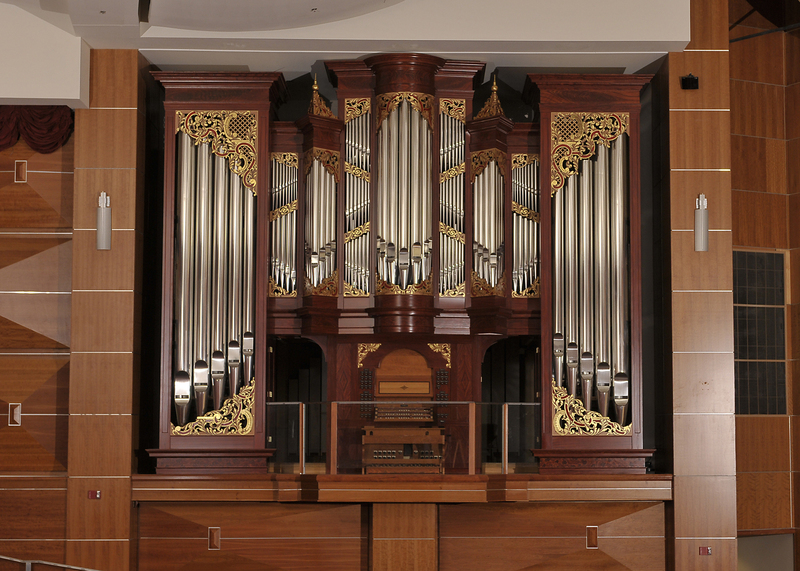 The centerpiece of organ study at UT is the three-manual, 41-stop Richards, Fowkes and Co. organ in James R. Cox Auditorium, Alumni Memorial Building. The organ, installed in 2007, is one of the most notable university organs in the U. S. It is used for lessons and for recitals by students, faculty, and guest artists. 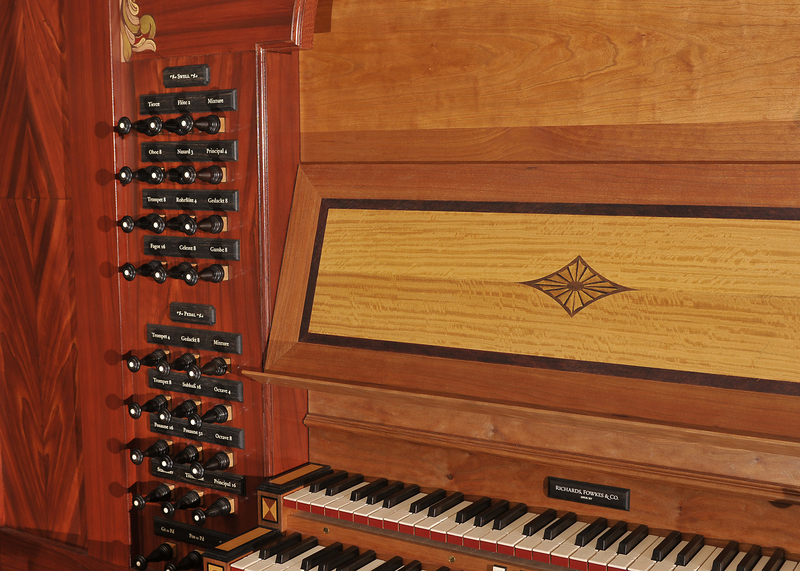 Click here for the organ's specifications. Other organs on the UT campus include a two-manual Gabriel Kney studio organ (17 stops, mechanical action), a two-manual Flentrop practice organ (three stops, mechanical action), and a three-stop positive organ built by the Andover Organ Co.
Organist and Music Associate at nearby Church Street United Methodist Church, teaches organ and related courses. Organ lessons provide students with an opportunity to develop their abilities in the areas of technique, repertoire, and practical church service playing skills. Technical studies include those appropriate for early keyboard styles as well as those used in music written since 1800. Appropriate repertoire from the entirety of the organ's literature, from before 1600 to the present, is chosen to develop and enhance each student's technical and interpretative abilities. Church service playing skills include hymn playing, improvisation, accompanying, and conducting techniques for the organist-director. All students perform regularly in the weekly organ class, and majors and minors play a prepared jury performance at the end of each semester. Organ majors also perform solo recitals as a part of their course of study. UT organ students also have opportunities to participate in master classes with guest artists and in the Knoxville AGO Chapter's annual Student Recital. UT hosts guest organists each year for master classes and recitals. In addition, several Knoxville churches and the Knoxville Chapter of the American Guild of Organists regularly bring guest organists to the city for recitals and workshops. The AGO chapter welcomes student participation in all of its programs. UT offers several programs under which students may study organ as a principal instrument. These include the Bachelor of Arts degree in Music, the Bachelor of Music degree in Organ Performance, Sacred Music, or Music Education, the Master of Music degree in Organ Performance, and the Artist Certificate in Organ. 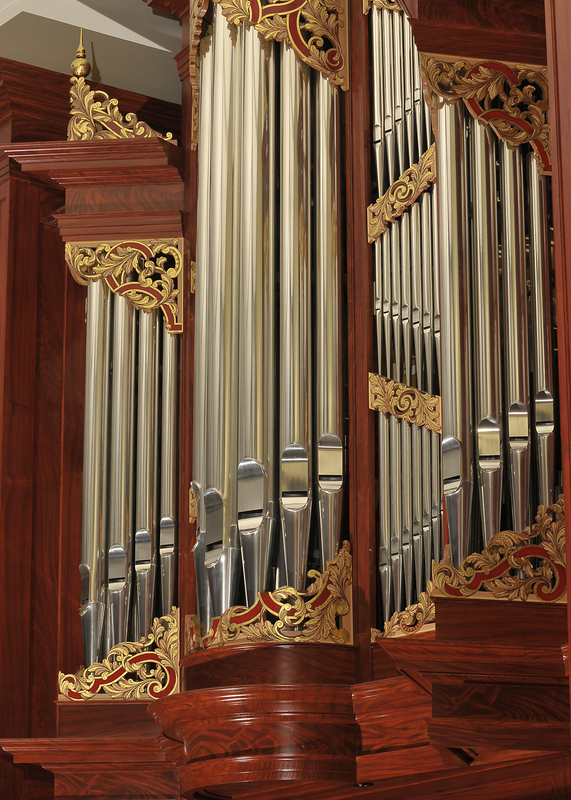 Students majoring in other fields can earn a minor in Music with organ as the principal instrument, or may study organ as a secondary or elective course. MUKB 230 Keyboard Harmony (1). Melody harmonization, figured bass realization, and improvisation. Prereq: Music Theory 110-120. MUKB 410 Organ Practicum (1). Improvisation, hymn playing, and accompanying at the organ. Prereq: Organ proficiency at the 200 level. MUKB 460-470 The Organ and Its Literature I, II (3,3). Development of the organ and organ literature from the Middle Ages to the present; problems of style and interpretation; pedagogical literature and methods, organ design. Prereq or Coreq: Musicology 220 and consent of instructor. MUKB 560 Organ Literature Seminar (3). Topics vary. May be repeated, maximum 6 hours. MUCO 480 Music in Christian Worship (3). Hymnody, liturgies, and liturgical music.